In this 10th installment of the award-winning series of specials, HBO Latino talks with a broad spectrum of Latinas, from a newspaper CEO and publisher to an Olympic boxing medalist, from a nanny to a news producer who is sometimes mistaken for her daughter’s nanny, from a victim of domestic violence to an advocate for victims of domestic violence, from a NASA scientist to an internationally known plus-sized model. HABLA WOMEN is not just a chance to stand up and be heard, but an opportunity to bridge cultural gaps. Alternately poignant and funny, HABLA WOMEN is a straightforward, no holds-barred perspective on the Latina experience. This film marks director Alberto Ferraras’ return to Cine Las Americas after a successful screening of an earlier installment of this series, HABLA TEXAS, in 2011. 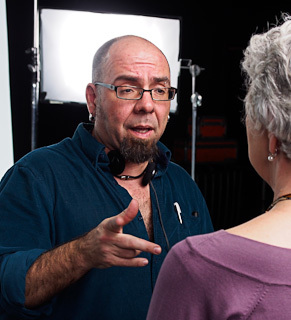 Alberto Ferreras is a New York based writer and filmmaker. Best known for his award winning novel B AS IN BEAUTY‚ and for HABLA‚ a 13-part documentary series created for HBO Latino that began in 2003. Its newest installations have been HABLA TEXAS, winner of an Imagen Award in 2012, and HABLA WOMEN. Ferreras has directed advertising campaigns for Dish Latino, HBO, and Walgreens among others. Cast: Marlen Esparza, Rossana Rosado, Adriana C. Ocampo, Gina Rodriguez, Rose Arce, Rosa Gutierrez, Daisy Martinez, Rossmery Almonte, Cecilia Gaston, Luis Guillermo Duque, Denise Bidot, Kadine Anckle, Michelle Mulligan, Peggy Robles-Alvarado, Loren Escandon, Vanessa del Rio, Sebastian Colon-Otero, Carided De La Luz "La Bruja"